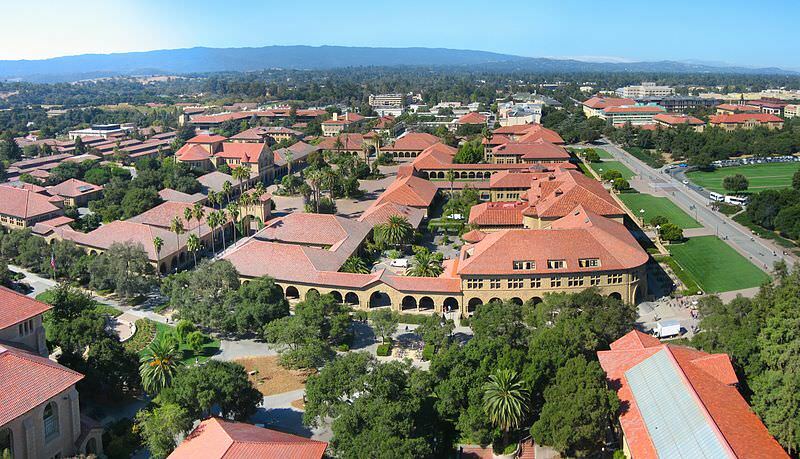 In time for the February “start” of the 2018 submission season, Stanford Law Review has announced that it is moving submissions to Scholastica. The Volume 70 e-board that made the decision is focused on providing the best possible submission experience for authors and improving the law review’s editorial processes. After facing some challenges with their prior system, they decided it was time to upgrade their submission technology and that moving to Scholastica would be the best next step for the journal. Using Scholastica, the e-board found that they could not only preserve the rigorous review process of SLR but also advance it with Scholastica features, such as journal analytics. SLR is committed to continuing its founding vision of excellence, to be a “journal of worth.” To that end, the journal seeks to both contribute to legal scholarship by addressing significant legal and social issues and to provide a meaningful learning experience for student editors. The editors are confident that moving SLR submissions to Scholastica will help them achieve both aims. Scholastica is thrilled to have SLR join our platform and we appreciate Senior Articles Editor Karen Ding taking the time to discuss their transition. In the interview below she shares how moving to Scholastica will improve SLR’s editorial workflows and submission process. Additionally, she shares a tip for authors looking to submit to SLR! Stanford Law Review is such a prestigious law journal that it needs no real introduction. That being said, can you share with readers a quick update on where SLR is today in terms of fulfilling your mission/vision for the publication? Right now, we are proud of the journal’s current state with respect to both goals. We are so fortunate to have the opportunity to publish truly pathbreaking, important scholarship. But we never want to rest on our laurels. On the submissions side, we are committed to seeking out the very best legal scholarship each year–from wherever it may come–and to giving every piece fair, thorough consideration. One of the biggest advantages to student-run law journals is a willingness to take chances on novel ideas, and we want to preserve that spirit. To that end, we believe that our blind review rule is crucial. Our editing process is similarly painstaking. We take great ownership over what we publish, and strive to be valuable collaborators with our authors. Thus far, these commitments have served us well in both producing a “journal of worth” and ensuring that our members have rewarding, enriching experiences. Of course, we hope to always be moving forward and improving, and I’m confident Volume 71 will do just that. What are your top priorities for SLR this year in terms of improving your internal operations and why? And how did this factor into you looking for a new submission management system? KD: The law review submissions season is a crazy time, for so many reasons. Because of the sheer volume of submissions and speed at which events occur, seemingly small technological problems become hugely amplified. As some authors may have seen or experienced last year, we had struggles with our website’s bespoke submission system. Therefore, it was important to the Volume 70 board to take the time during our off season to set up Volume 71 for success. What made you decide to move article selection to Scholastica? KD: When we began this whole journey, we were not actually looking for a new submission management system, so much as a solution to the problems we had been experiencing. However, after doing some research and exploring our options, it became clear that making the switch to Scholastica would be faster and meet our needs better than trying to make piecemeal adjustments. The principal barrier to our adopting Scholastica–or any other existing platform, for that matter–was the lack of blind review capability for our articles editors. But we started a dialogue, and Scholastica was willing to work with us to create new blind review functionality. Now, several months later, the feature is live! We have had a fantastic experience through this process, and are excited to continue collaborating on improving future iterations. How do you anticipate using Scholastica will impact your editorial workflow for your current and future e-boards? KD: On the one hand, what has been so great about the collaboration with Scholastica is that we don’t really need to adjust our workflow–we can preserve the integrity of our review process. At the same time, the platform is so much more user-friendly for our editors. We also anticipate benefits for institutional memory. For instance, we are very excited about the analytics, which have been much more labor-intensive to collect in years past. What kind of benefits do you hope authors will see in terms of their experience submitting to SLR now that you’ve transitioned to Scholastica? KD: We hope that moving to Scholastica will streamline and centralize submission for authors. They will still need to create and submit blinded manuscripts for us, but we do hope it takes away some of the extra burden. If you could give submitting authors a message to improve their chances for publication in leading law reviews like SLR this year, what would it be? KD: Putting aside content–which is of course the most important factor–I would advise authors to remember that we accept submissions on a rolling basis, from February to around September. In the past, there has always been a huge influx of submission in February and March, and then a significant drop-off from April through the summer. We are still considering pieces during that period, so I would encourage authors to submit pieces then if they are ready, and to not wait until the so-called fall cycle in August. What’s next for SLR? What do you hope to achieve in your e-board tenure and leave for future editors? KD: Well, we’re excited to finish editing and publishing the rest of Volume 70! It will be coming out over the next few months, so there’s still a lot to be done. Meanwhile, the new board has gotten started on our Volume 71, and we have every confidence they will carry forward and build on the SLR legacy.